This topic contains 35 replies, has 4 voices, and was last updated by Philjb 2 months ago. I am going to post a real world review on my Ford Kuga as regards my disability, you needs may be very different. In May last year I received my Ford Kuga Zetec 2.0 Diesel Powershift. I user a mobility Pride GoGo mobility scooter, walkers and sometime 2 crutches, I am partially paralysed down my left side face, arm and leg following a head injury accident at work. We chose the 2.0 diesel 150bhp because we tow a caravan, there is an 180 option but to be honest the 150 tows the caravan with ease, for those who do not tow I would imagine the 1.5 diesel more than adequate. Due to my disability we chose the Ford 6 speed Powershift Automatic, I have to say it is brilliant, far better than the old fashion Automatics from years ago. We normally get 45 -47mpg in the warmer weather, which drops down to 39-42mpg in the winter, this is normal for a diesel, towing the caravan in the summer around 32mpg. The Kuga is very nice to drive with good visibility, I struggle to move my neck, the Kuga handles well. Being the Zetec model my Kuga is the base model, unfortunately last year there was a cap on the mobility scheme, if I had the choice again I would go for a Titanium X due to the extra driving aids. For some reason the car came with Satnav which is very good, the electric handbrake which I like and dual air-conditioning. All Fords come with a heated windscreen brilliant should be made standard on all cars in my opinion. The boot is a bit small only 450litres however my Pride GoGo does fit nicely but no room for anything else in particular my walker, it is either one or the other, my next car will have a bigger boot. Our previous car Honda CRV 2013 the rear doors opened really wide, the Kuga’s do not making it a little difficult to put the crutches in the rear seat footwells, plus there is very little leg room in the Kuga compared to the Honda CRV. In the Honda I could put my walker. Lovely to hear you’re still enjoying the Kuga, Oscarmax. It’s amazing how we all go for tech this, and tech that, then never use half of it, so it’s good to hear how you still enjoy your Zetec, and not miss all those gadgets!! 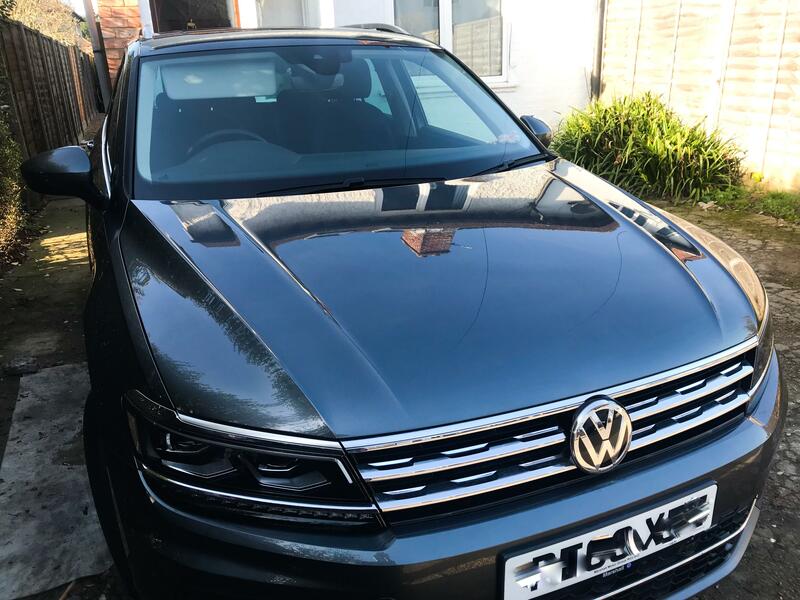 We have the Tiguan 150 SEL DSG 7 speed and I’m mighty impressed, mainly with the rear leg room, it’s honestly like a limo compared to our old vw touran. It has anti roll a bit odd on an auto. We switch it off. It averages 47-52 mpg on a motorway run at 70 ish. With the cruise on it will just sit at a set distance from the car in front, even stopping if it comes to traffic or lights, then when it moves off the car will go again, it’s like driving itself. Very clever and useful as a disability aid. It’s probably the most comfortable car I’ve been in, yes you feel the worst pot holes but it glides over most surfaces. 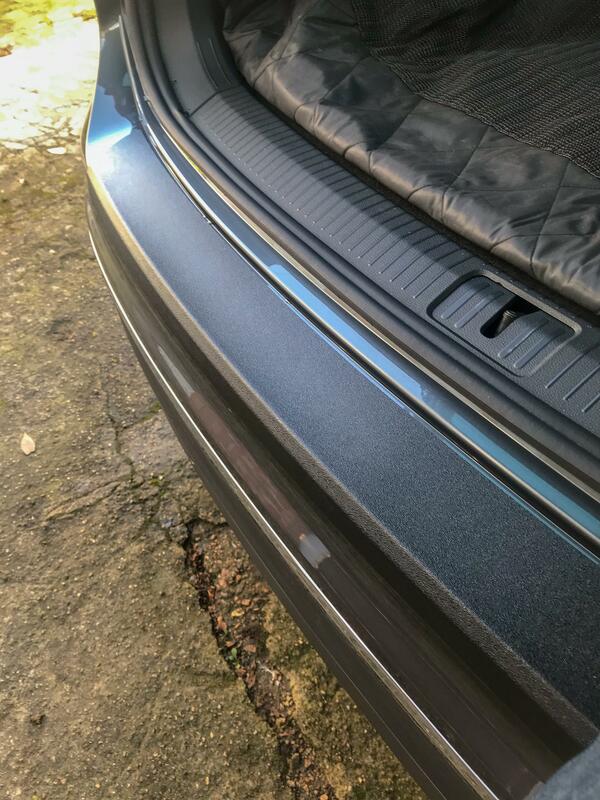 We went for the metalic grey, which in my opinion is the best colour for the sel. The best part is the ergonomic comfort front drivers seat with electric lumbar and massage function, it’s bliss. I really rate it as a great comfy and easy to drive vehicle. The only negative I found so far is there is so much tech it will probably take me three years to work it all out. We have a Kuga Titanium X coming to the end of the 3 year period, I have asked my dealer to try and get a 180 ST Line Edition for me to test drive, but currently no luck and probably favour a Tiguan R Line anyway. My car didn’t even come with satnav. The problem with Ford is they give you features whilst taking other stuff away, they no longer have the seat back trays that we find really useful for our autistic son, and the ST Line doesn’t have the power tailgate anymore. Haven’t considered a Titanium X or the Vignale as there are too many similarities with our current car, especially the interior which although nice, is a little dated now. 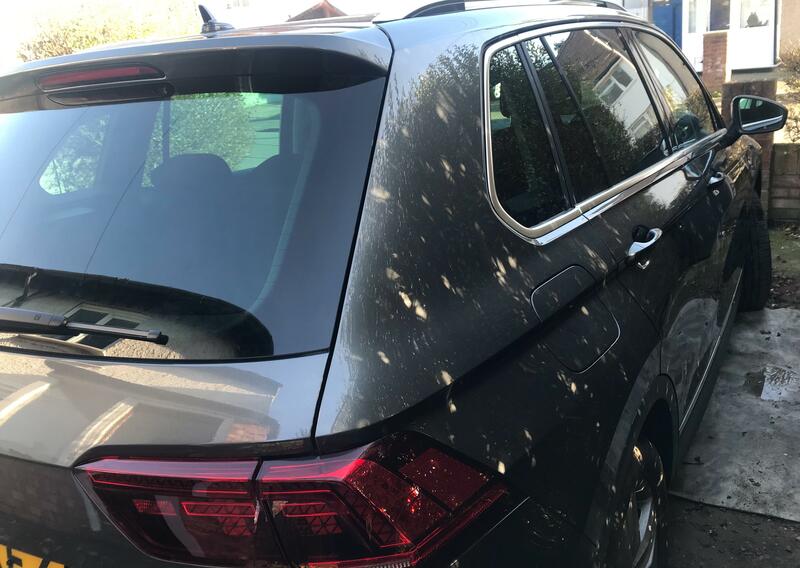 Our Tiguan after my son gave it a quick wash and fitted a rear bumper protector, off eBay. Mods could you move please, I thought this was the general our motability cars section. Mods could you move please, I thought this was the general our motability cars section. meds again. yes the first thing I bough. Plus a rubber backed material cover that attaches to the rear headrests. Otherwise his stumpy little hairs are a bugger to get out of seat backs etc. Its works really well, but he weighs just over 42 kilos and even cut short his nails are sharp.